Conference 2019 is in the books and what a conference it was! Record-breaking attendance, a record-breaking number of exhibitors and over 400 sessions. And on top of it all, old friends and new colleagues. 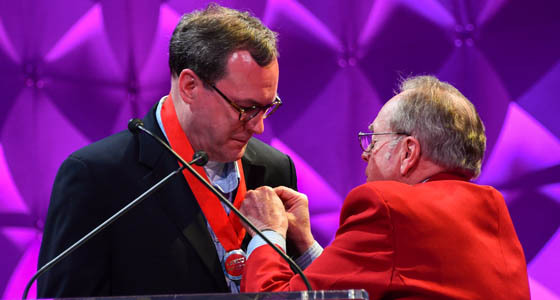 I came away from the Conference energized, excited, and optimistic about the future of USITT. 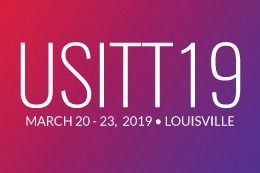 Next year USITT will celebrate its 60th anniversary, and the Board of Directors has authorized a forward-thinking capital campaign called “Setting the Next Stage” that will keep USITT relevant for the next 60 years. 60 years ago, dry pigment, clout nails, auto-transformers, and gel were the norm. Today, we utilize scene paint, pneumatic staplers, SCR dimmers, and plastic color media. The future will see LED fixtures that do not need a dimmer, color media, and the expansion of digital media. What else can we imagine for our industry in the year 2079? The best news regarding our ambitious capital campaign is that we are already over halfway to our $600,000 goal. But we are not there yet. We still need the support of each and every one of our members. More information will be coming in the near future outlining the specifics on where funds will be used, what area they represent, and how everyone can get involved. I am asking everyone to become involved and, like me, make a multi-year pledge. As little as $10 per month will help USITT to attain our goal and influence the future of the entertainment field. As I have said before, get involved and stay involved. Here is an opportunity to give back and give forward to the future of USITT and the industry that we have chosen. Thank you!